Nokia 220 was announced at MWC last month and Nokia claimed it to be the “most affordable data phone to date”. Today, the budget internet-enabled feature phone has gone on sale in India at a price of Rs. 2,749. 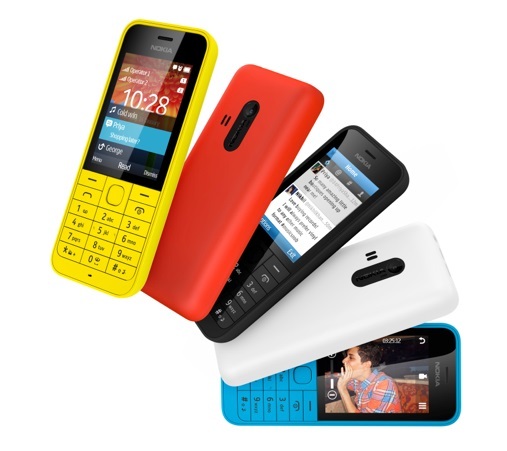 Nokia 220 like other Nokia devices comes in a variety of colors – Black, White, Cyan, Red and Yellow. The phone also comes with dual SIM functionality in tow. There’s a 2.4-inch (320 x 240 pixel) LCD display, an alphanumeric keypad, a 2MP rear camera and microSD card support for up to 32GB cards. Connectivity options include 2G, Bluetooth 3.0 and USB. There’s a 1100 mAh battery, which should give some great battery life considering it’s a Nokia feature phone.